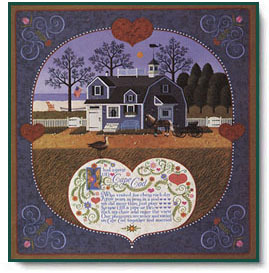 There's a little love in every print by Charles Wysocki. In Sweetheart Chessmate, the artist makes love itself the central theme of his work. 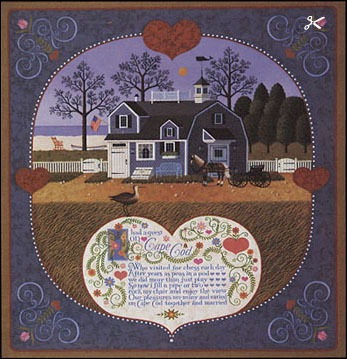 Charles Wysocki displays his wonderful versatility in this print, too, for he actually composed the quaint little love poem that is an integral part of the overall picture. For Valentine's Day, for all year 'round, Sweetheart Chessmate says "love" in a work-and-picture combination that is bound to please the eye and warm the heart. Sweetheart Chessmate copyright © 1984 by Charles Wysocki.